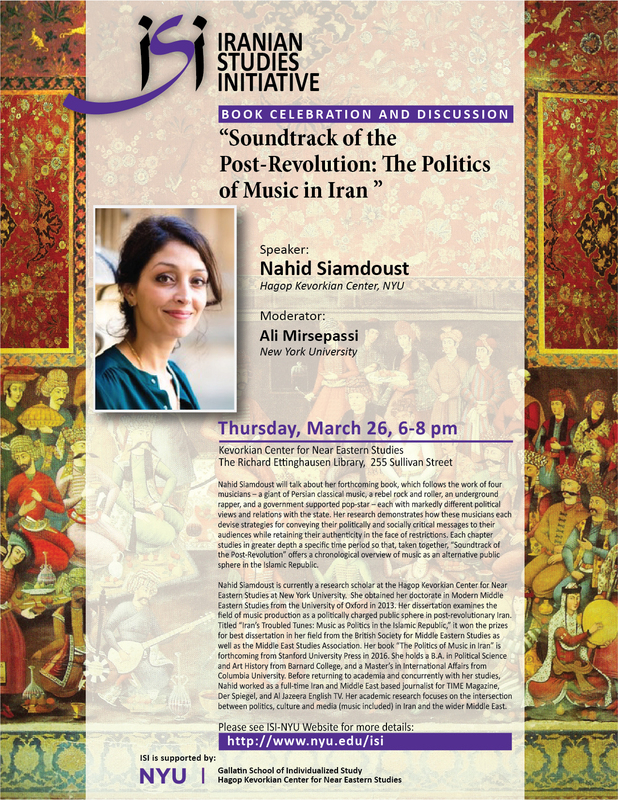 Please come hear my talk if you’re in the city! 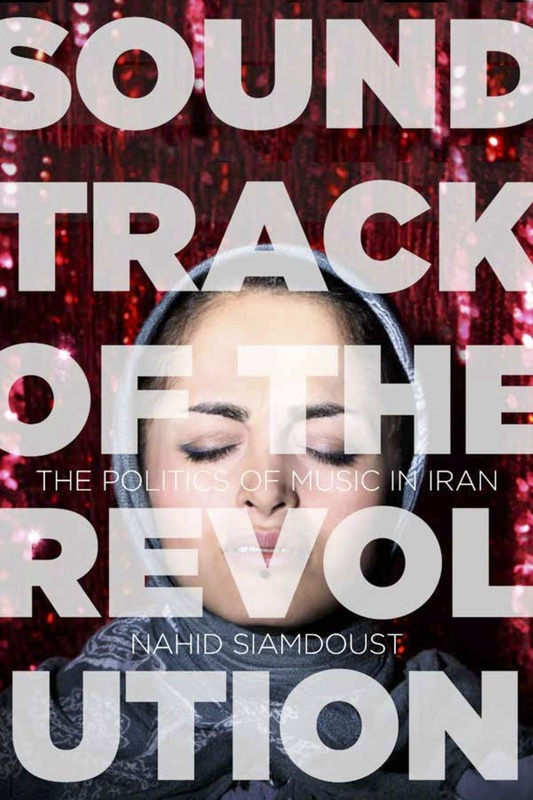 Dr. Siamdoust’s “Iran’s Troubled Tunes” is a very well written and theoretically sophisticated dissertation, which bridges politics, history, culture, and ethnomusicology. 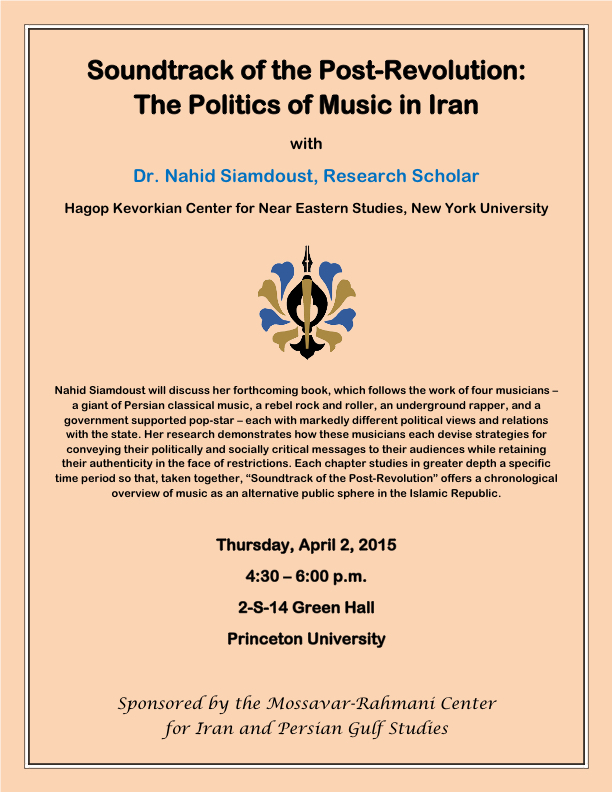 The author has done a considerable amount of fieldwork in Tehran and gained access to many important musicians. 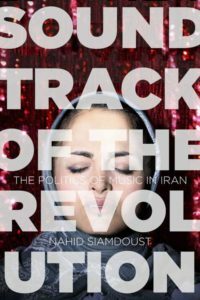 Siamdoust is highly successful in blending short biographical sketches with a skillful and nuanced discussion of music and politics. More than an erudite work of scholarly excellence, it has the prospect of evolving into something that a much wider audience would find enjoyable and illuminating. 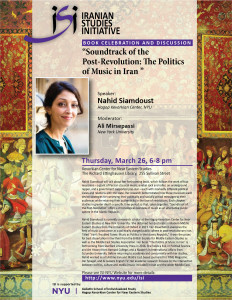 The MESA Dissertation Awards were established in 1982 to recognize exceptional achievement in research and writing for/of dissertations in Middle East studies. In 1984 the award was named for Malcolm H. Kerr to honor his significant contributions to Middle East studies. Awards are given in two categories: Social Sciences and Humanities. 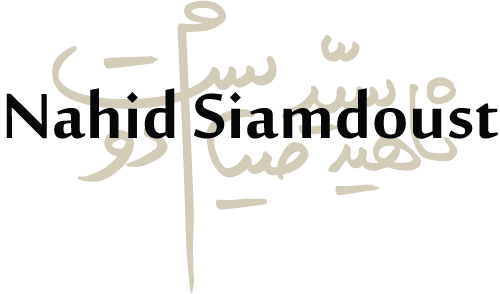 politics the full complexity that it truly merits. The Leigh Douglas Memorial Prize was established jointly in 1986 by the Leigh Douglas Memorial Fund and BRISMES in memory of Dr Leigh Douglas who was killed in Beirut in 1986. The prize is awarded annually to the writer of the best PhD dissertation on a Middle Eastern topic in the Social Sciences or Humanities awarded by a British University. One of Iran’s greatest poets, Simin Behbahani, dies at 87. With torrents of my tears. Once more, the darkness will leave this house. I will paint my poems blue with the color of our sky. a mountains splendor in his testing grounds. Old I may be, but given the chance, I will learn. I will begin a second youth alongside my progeny. With such fervor as to make each word bear life. I feel for my people. though my poems have settled in blood. though it be beyond my means.